Today, nearly every component of a plane can be manufactured in the aerospace industry in Mexico, including turbines and fuselages. Could manufacturing and production of a complete aircraft within Mexican borders be in the country’s not-so-distant future? Significant growth in Mexico’s aeronautical industry could more than double current export figures within the next three years, an aerospace expert predicts. 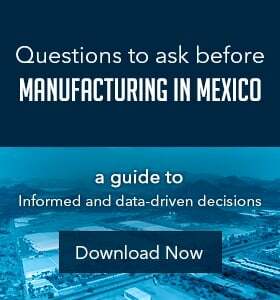 Mexico’s Sonoran government means business when it comes to building a skilled labor force – and that is good news for aerospace manufacturers. An incoming technological institute in Guaymas supporting the aerospace industry provides one more compelling reason for manufacturers to consider building aircraft in Mexico. A decade from now, Mexico will be one of the top five aerospace industry suppliers on a global scale. Commercial jets could be completely assembled in Mexico in the near future, but the overall success of Mexico’s aerospace industry hinges on foreign direct investment.